This chocolate cake is originally an angel cake with a sinfully rich chocolaty texture, originated from Hearty-bakes and followed by Ayu, Curlybabesatisfaction. However, mine was an accidental mistake! In the midst of weighing the ingredients, I then realized that I didn't have 8 eggs white (280g) to make this cake. "Oh-uh"...That's what my son would say. Since I have weighed out the rest of the ingredients, I might as well making this cake with 5 egg white and add more yolk in this case. I have added 5 egg yolk to bulk up the volume of the cake batter so that it can fit into my chiffon pan. Here is the recipe from Jessie (Hearty-bakes) (with my slight modification in brackets). 1. Double-boil (A), stir till mixed. Set aside to cool. 2. Whisk (B) till pale in colour & stir in the chocolate mixture from step 1. 7. Fold in the rest of white gently. The egg/chocolate mixture will be thick & creamy, hence fold in the white gently. Do not deflate the whites. 8. Pour batter into 21cm chiffon tube pan. Bake at 170°C for about 50mins. Thanks for the link Zoe. Your cake looks rich and full of flavours. mmmmmm the thick chocolate ganache looks wickedly chocolate! love how u serve the cake with warm flowy ganache instead of glazing them. your angel cake looks so so tempting and delicious zoe! great job! nice ganache! can i have a bite? i smiling too, it looks fantastic! That is the fudgiest cake I have ever seen. Just one bite would send me into chocolate heaven. wow, the ganache really make me licking my own saliva!..hehe very chocolatey..thanks for linking the post to my blog and thanks for trying to .. The cake looks really nice and delicious with the ganache. What a lovely accidental yum! Thank you for visiting and following. I'm following you too. Looking forward to all your lovely posts. Have a nice day! They look just perfect Zoe. I love delicious accidents :) MMmm!!! the cake looks chocolaty and heavenly, I love it with the ganache topping, yum! What a beautiful slice! Look at that chocolate sauce draping over the cake! Thanks for stopping in to read my blog. I am enjoying yours too! Oh that cake looks delicious, especially with the rich sauce on top! It reminds me of the delicious mud cake my bf made me for my birthday earlier this year. This looks incredible! Isn't it great to get compliments like that! Good for you! Yummy... A beautiful mistake!!! It really looks lovely and rich!!! Aren't you glad you made that mistake? Looks so rich and moist! What a perfectly delicious accident! Stunning photos too. 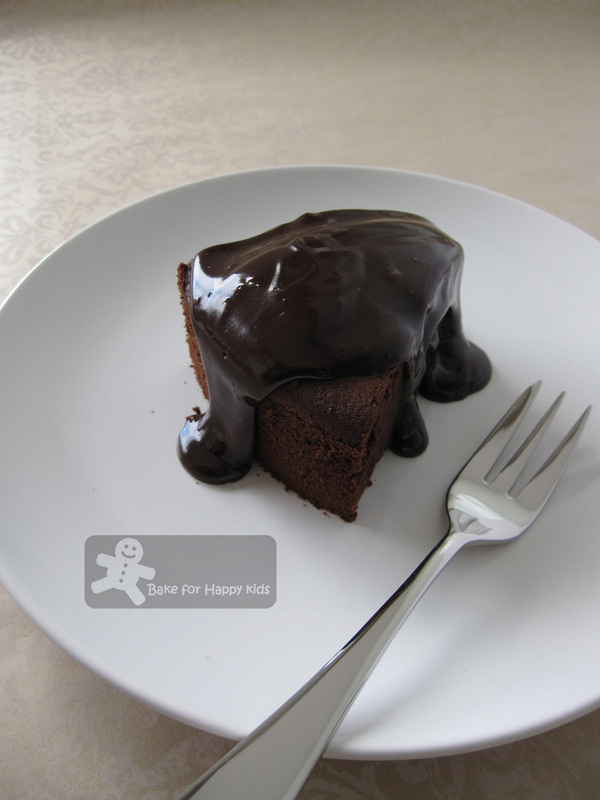 I love chocolate and this cake looks like one I need to bake this weekend =). Wow! That is one serious chocolate cake! It looks absolutely wonderful. 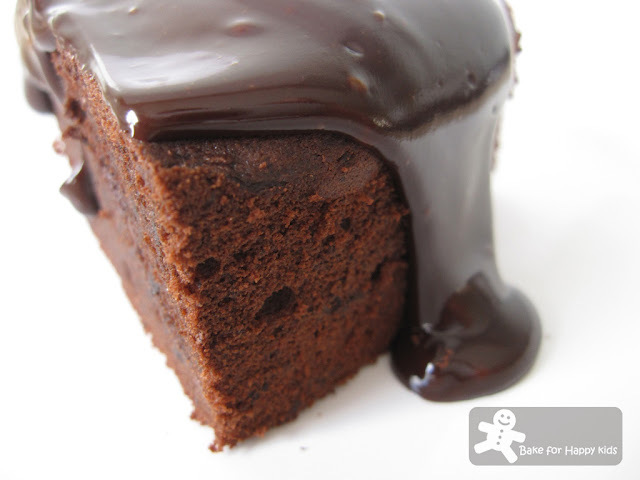 Your cake look super moist and so chocolaty! You did a great job of it! Misread of recipe often creates the best tasting food. Gosh, can't help drooling over those pictures! Whoa! I love your pictures and nothing like a close-up to really see how rich and moist this cake it. I call that...the money shot! WOW! That looks amazingly delicious!!! 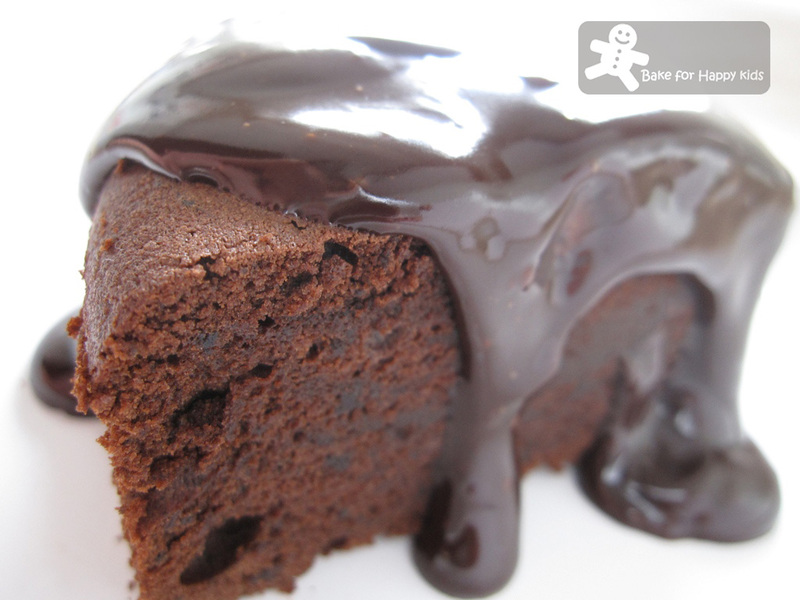 Wow, this cake looks so ooey, gooey and chocolatey! The photo is amazing! What a great recipe! I followed the original recipe and it was so good! Thanks!! !